Do you know? SAP Knowledge Base Articles (KBA) are now indexed on google. This means, in addition to searching these knowledge base articles in Built-In Help, you can also search KBAs directly from Google. For certain products, you can also read these KBAs without the need to log in with your S-User. 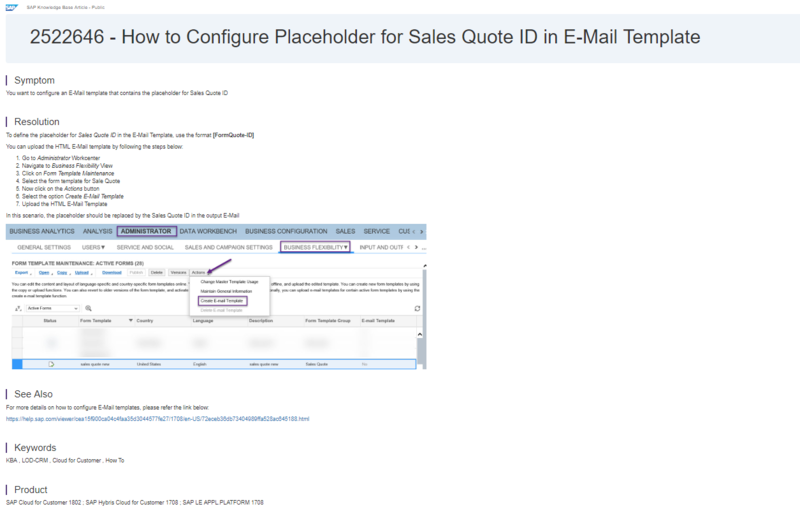 SAP Cloud for Customer the product KBAs can be searched and viewed without the need to log in as an S-User. 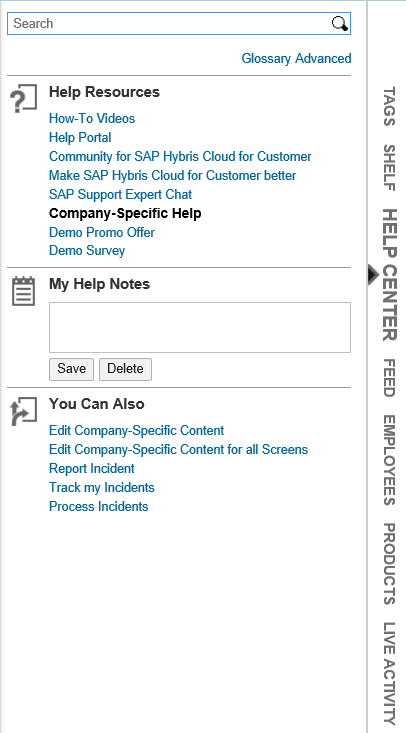 For most of the knows questions/issues, you can find a way forward to for your query/issue using these SAP Knowledge Base Articles (KBA), without having to report a support incident. In this blog, we share a few best practices on how you can search for KBAs via various channels, including Google. 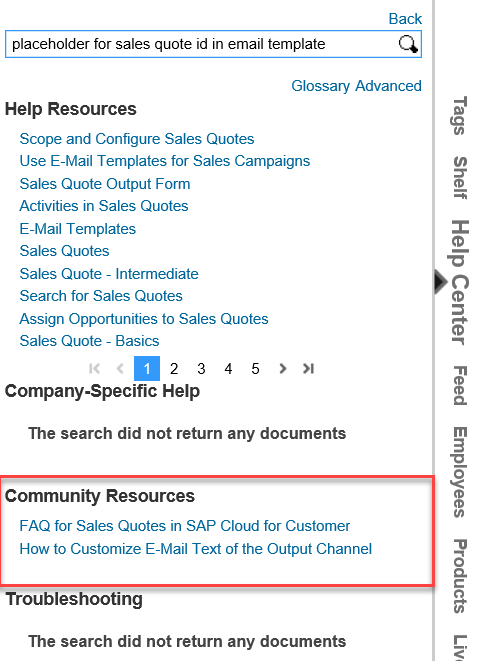 When working in one of the above product, you can search for the SAP Knowledge Base Articles (KBA) in the Help Center. In some cases, you might need to eliminate the date, time, user information, document id, currency, unit of measure which are specific to the user and your company. Ensure that the search terms should be generic. 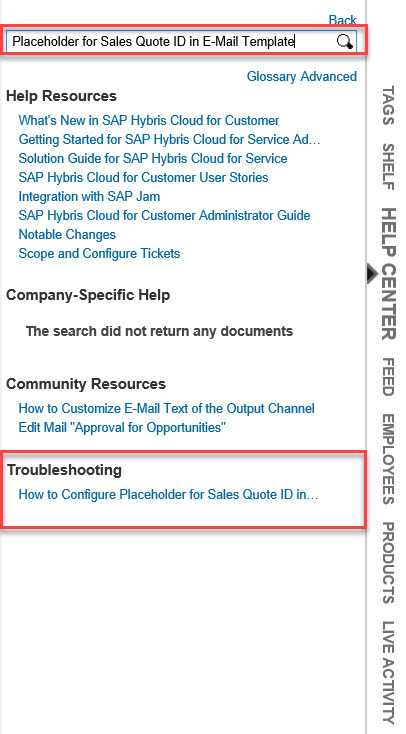 You can search for the SAP Knowledge Base Articles (KBA) in the incident creation wizard while creating an incident. You can also search SAP Knowledge Base Articles (KBA) in Google. 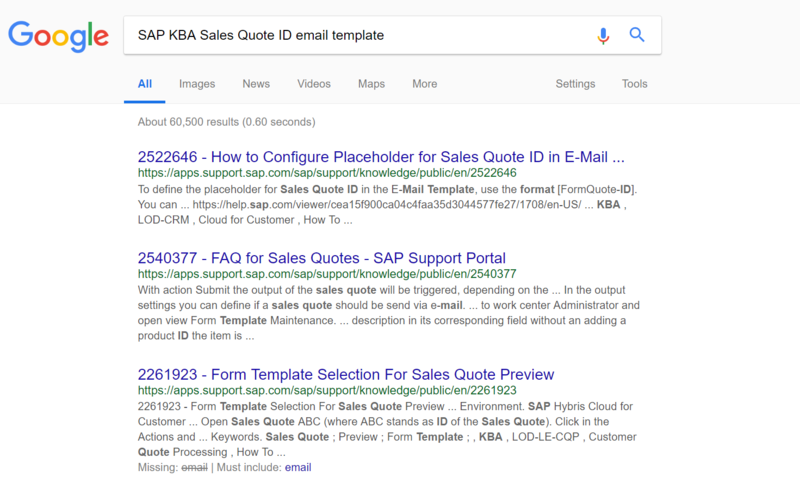 While searching with an error or relevant search terms, just add the prefix or suffix “SAP KBA”, then Google will show SAP KBA which are relevant for your search keywords. When you click on this document link it opens the SAP Knowledge Base Article which includes the Symptom, Reproducing the Issue, Cause, Resolution, and product information. 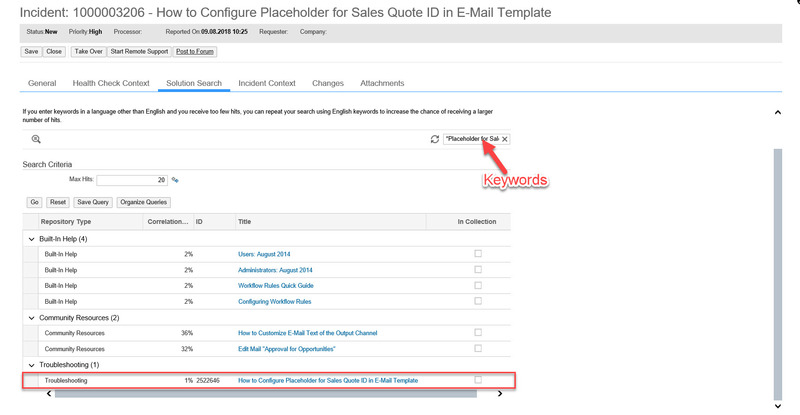 Try using different search criteria to get an SAP KBA best suited to your question. If you are unable to find a suitable SAP KBA even after reviewing multiple SAP Knowledge Base Articles, you will probably report a support incident. When doing so, it is strongly advised to share your search terms or keywords and SAP Knowledge Base Articles you have already viewed. This will not only save the time in assessing the incident reported but will help SAP improve the knowledge base repository.